If you remember a delicious kiss (maybe your first one) you might recall your heart beating faster, your eyes closed increasing the sensation of your feelings, a sense of warm filling your body, your skin smiling. You were hugged, wrapped in cage of a rare energy where you never want to leave. Your eyes might have closed again losing your thoughts in a colorful mysterious rhythm. What happened is that you were living that moment fully aware, fully present, engaging your senses, your mind your soul. Your purpose became making fill the other person good as well as hanging to that precious moment like nothing else mattered. What if we did everything like a delicious kiss? What if we were able to engage fully in the present, avoiding multi tasking, multi thinking and multi others? I work from home, have five calls in average per day, have several projects, currently lead two program and teach. I need to keep myself focus on the important task at hand. I don’t use a single system to track all my todos. Too many project all with their own tracker make this impossible. I allow multi todos systems and trackers to exist: Trello, GitHub, OmniFocus, list of action items from a meeting, etc. I use the Pomodoro Technique to book my calendar and focus on a particular theme or project. I set aside between 20 min to 3 hours for each theme. When I’m working in that project, Im fully focused and present. I concentrate in one task at a time. I fully engage. I do not interrupt myself by emails or other non-related tasks. In my meetings, I’m listening, putting all my energy, trying to grasp the important ideas, trying to help and finding a best solution to a problem in hand. I imagine the other people on the other side and I consciously care. This has made my meetings much better. If we book in our calendar important time to advance our projects to achieve the goals in our lives, they should deserve that attention and concentration like a kiss. So I invite you to live your life engaging in the present, connecting with the people, listening, observing and feeling. In other words, let’s all practice more kissing the moment. 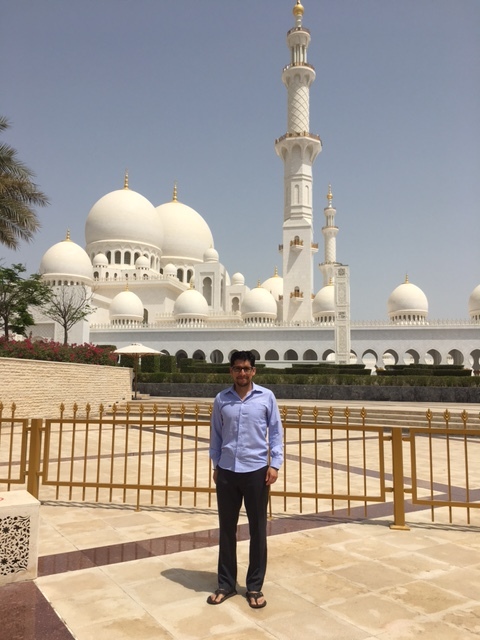 I visited two weeks ago the Sheikh Zayed Grand Mosque in Abu Dhabi, the biggest Mosque in the United Arab Emirates and the 8th biggest one on the world. The Mosque is an incredible symbol of modern art that can accommodate more than 40,000 people at the time of prayer. It clicked with me why visionaries build structures like this one to keep alive a message of their vision. Sheikh Zayed bin Sultan Al Nahyan, united in 1971-1972 the Emirates (Abu Dhabi, Ajman, Dubai, Kalba, Ras al-Khaimah, Sharjah and Umm al-Quwain) into one federation the United Arab Emirates (UAE). Twenty years later the Mosque construction began as a symbol that would represent the unity and the cultural diversity of the Islamic world. 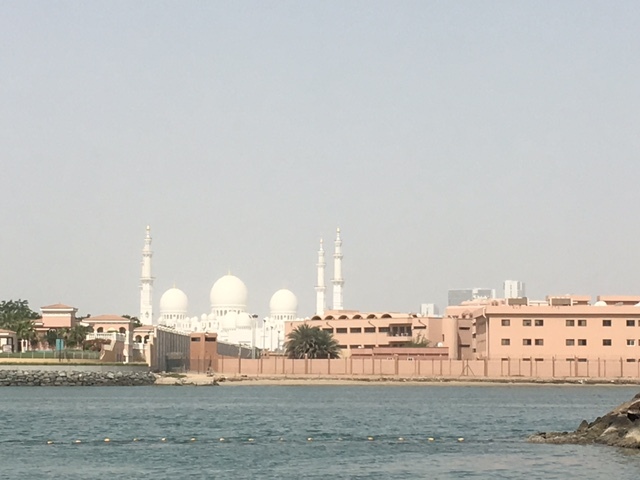 Now every time tourists go to the Mosque, they learn the story of Sheikh Zayed and how the United Arab Emirates came to be. After visiting the Mosque, I went back to my hotel and did some work. At sunset, while I was mediating siting at the shore of the Fairmont Bab al Bahr hotel, listening to the waves from the Khor Al Maqta waterway, and looking at the other end the Mosque lightening up, a question came to me: What structure would I like to build so others can tell a story about my vision? I have never thought about building a physical structure. I have always dreamed on creating a huge impact on the world by technology, innovation, and inspiration. How can I help save more lives, increase live longevity, make people happier, etc. Two topics I like very much are technology and health. I believe sharing of and analyzing (e.g. applying machine learning) data to understand better medical illness, pandemics and environmental impacts on health can improve the world we lived in. What will the structure for me look like? I don&apos;t know. I will say that at the moment I&apos;m having good conversations with other like-minded architects. Presentation about Health Challenges and Spatial Analytics using Open Data Standards at Machine Learning and AI in Health Care, Boston May 2017. Health Summit at OGC Meeting in June 2017. Blog about using the OGC Innovation program to advance pilots in research projects. Hopefully soon I wil have a structure like the Mosque to help tell my story.